Rare Black Shiva Lingam's are much more rare than “regular” Shiva Lingam's, as they are revered by the temples as highly auspicious and prized. 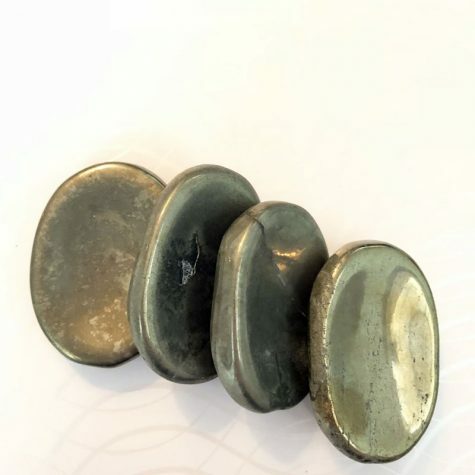 Shiva Lingam's are a unique oval-shaped mineral from the Naramada River in India, where they are naturally polished from the river's currents at a dam. There is one time of the year (the dry season) when they are collected by the local people. They are hand polished with blessed waxes and oils, according to recipes handed down within the family. 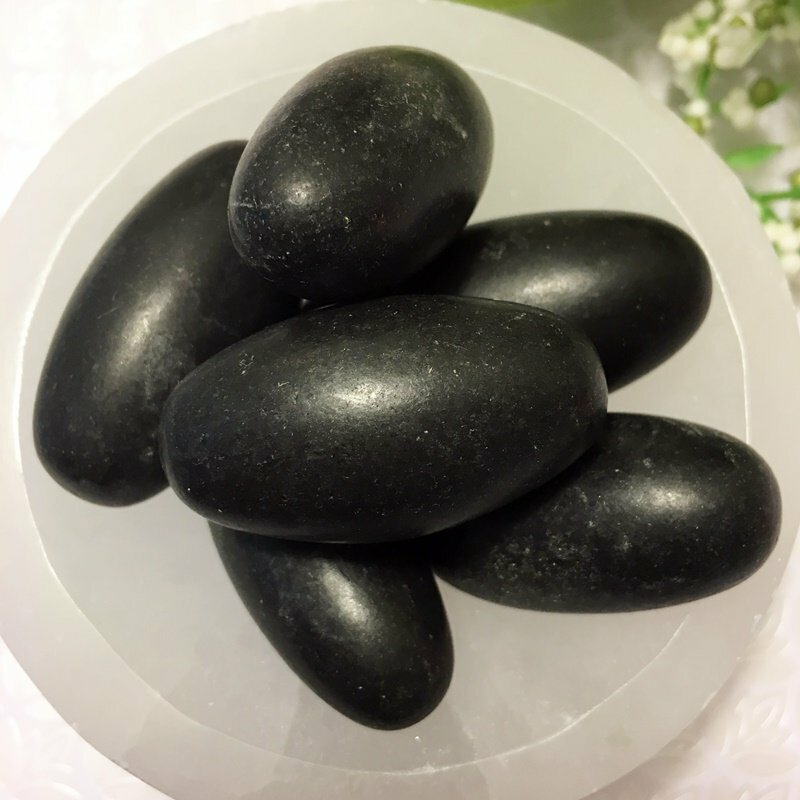 Shiva Lingam's help us balance our feminine and masculine aspects, as well as opening the heart and allowing us to release with ease what we no longer need. It can help us with the action to create something new. They bring in tranquility and peace. Shiva Lingam's can help with clarity as well. 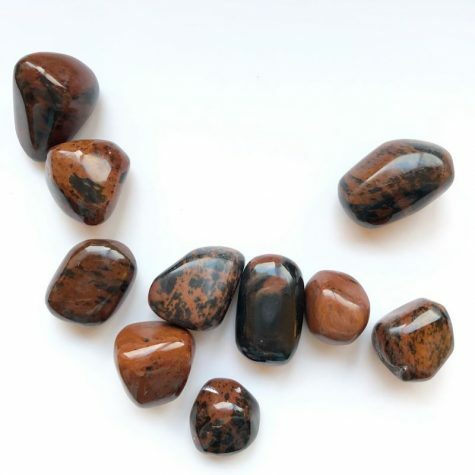 There is such a special energy about these stones, and they really are helping us on our path right now. 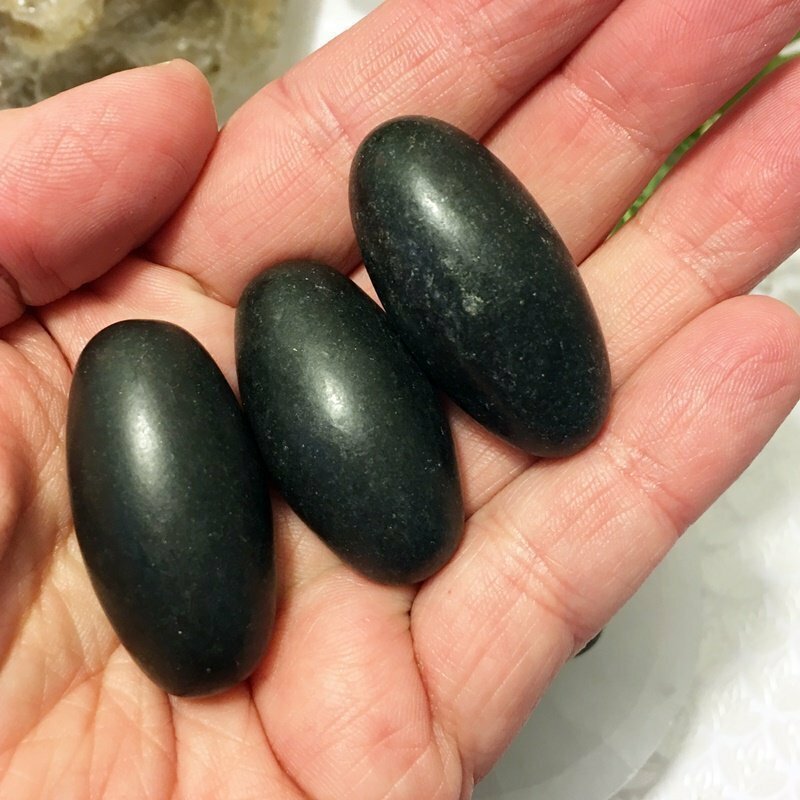 Energetically they may feel a little more powerful than traditional Shiva Lingam's, but are wonderful teachers to face our struggles with peace so we can open our hearts. Pieces are around 1 1/2″ long.